Thanks in part to the internet, it’s not unusual to buy or sell a car from one side of the country and ship it to the other. Then there are those rodders who send their cars to a distant shop for custom work or vacationers who drive one way to an event and have the car transported the other. At one time moving a valuable car for any reason was a risky proposition, but today, it’s practical, safe, and economical, thanks to Intercity Lines. Intercity Lines started as a small, family-owned business and has evolved into the nation’s premier enclosed automotive transporter, thanks to the special care they give their customers’ vehicles. They tell us the key to safe and secure transport of a car is proper equipment, preparation, and attention to detail. Reputation: It’s always best to work with a known auto transport company, one with a proven track record and experience in moving special-interest vehicles. Visit websites. Get referrals. Check references. Do your homework. Carrier versus Broker: Always work with a car carrier directly. Avoid brokers. Make sure the carrier operates its own equipment brokers don’t. 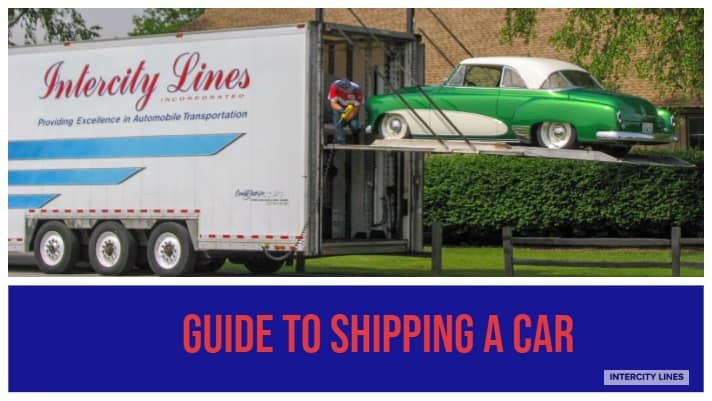 Insurance: Make sure the car carrier supplies a Certificate of Insurance, an agreement that states the insurance coverage as well as pickup and delivery times. Vehicles are typically insured for up to $2 million. No Deposits: Never, never give a deposit. Legitimate car carriers never ask for a deposit in advance; brokers typically do ask for a deposit — another reason to avoid using a broker. Tracking: Reputable auto transport companies know where their trucks-and your car ­are at all times. All Intercity trucks are equipped with GPS tracking; a quick call to Intercity informs you of your vehicle’s whereabouts. Enclosed versus Open Trailer: Enclosed trailers provide maximum protection of a vehicle; it’s why Intercity only uses enclosed trailers. Rain, sleet, snow, hail, sand, road debris can all damage vehicles left exposed to the elements. Moreover, cars hauled in enclosed trailers are secure against vandalism. Lift-gate versus Ramps: All Intercity trailers use hydraulic lift gates to load the vehicle into position. Vehicles with low ground clearance–exotic sports cars, lowered street rods, and vintage race cars can be damaged driving up a ramp. Also, if a vehicle is transported often, moving up and down a ramp can strain the vehicle’s driveline. Yes, clutches have been smoked on the short trip up a loading ramp. Inoperable Vehicles: Often, cars in various stages of restoration or construction need to be shipped. No problem. Wrap spare or loose parts carefully and put them inside the car or the trunk if they will fit securely and not hamper the view from inside or risk damaging the vehicle. Extra wheels and tires can also be shipped with the car for a modest extra charge. Winch Availability: If a vehicle is not driveable, or if its brakes are inoperable, the transporter should use a winch to move the car on and off the truck in the safest possible manner. However, if the trailer is equipped with lift gates-as are all of Intercity’ the vehicle can be pushed onto the gate, then into the trailer. Gas Tank: Vehicles should be transported with a quarter tank or less of gasoline in the tank. This is not only safer; it makes for a lighter vehicle. A gallon of gas weighs just under 7 pounds, so a full tank can significantly increase the overall transport weight. Check the Antifreeze: Many vehicles based in Florida, Arizona, or Texas may be running straight water in their cooling systems. Of course, the temperature never drops below freezing in those states. However, if a car is being transported during winter to a cold-weather climate, that water could freeze in the engine block and/or radiator-with disastrous results. The solution is simple: Before shipment, flush the cooling system and fill it with the recommended blend of antifreeze and water. Remove or Disconnect Battery: If not properly fastened, a battery can shift or dislodge during shipping, causing corrosive damage to wiring and sheet metal. It could also be a fire hazard. It’s also a good idea to disconnect the ground strap once the car is loaded into position. Use the Cut-off Switch: If the car is equipped with a battery cut-off switch (many race cars have one), it should be placed to the “off” position to reduce the electrical hazard. Naturally, remember to instruct the transport crew of the switch’s location and operation. Keep the Interior Free of Loose Items: The transport team needs a clear, unobstructed view from inside to move the vehicle safely. Exotic cars, for example, have a limited rearward view, so loading the car with personal items-that floor jack in the back seat to save on outside shipping costs, decreases visibility even further. Moreover, such items are not covered by the transporting carrier’s loss policy; only the consigned vehicle is insured against loss. Here at Intercity Lines, we take care of our customers. Your vehicle will always be safe with us because we have the best drivers in the industry. We are a family owned auto transport business and have been in business since 1985! We only have enclosed trailers and specialize in classic car transport, luxury car transport, and exotic car transport. Get a free quote with us today!